There is an add-on available for users to input product/variation Brand, UPC and EAN. 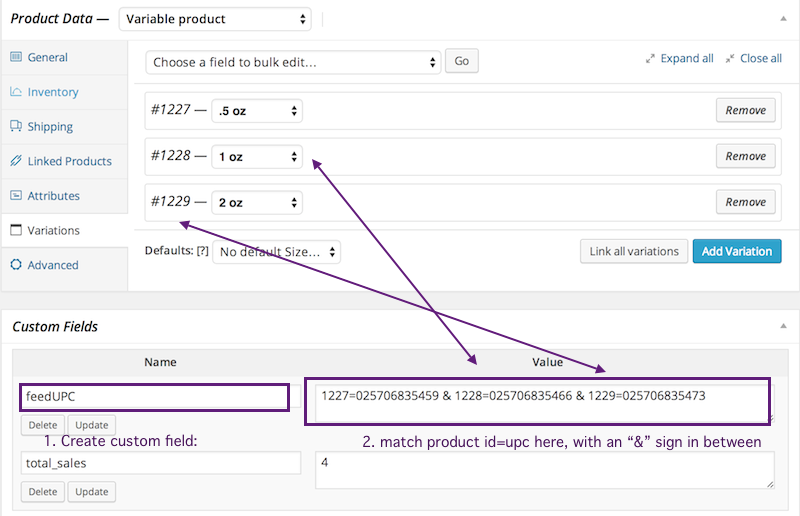 In order to add upc ean values to variable products in woocommerce, please find instructions and free plugin here: Additional Product Fields. Various merchants require you to provide Brand, UPC or EAN value when you are listing your products on their sites. If the merchant doesn’t already have the product that you are listing, you will have a compulsion to provide these values. So, in order to list your products and avoid feed listing errors, you will need to incorporate these values into the product feeds. If you don’t have the UPC codes, you can get legit UPC reliably from here.